This survey was to determine the labor rate and billing practices in the Washington Metropolitan market (VA/MD/DC). The data derived from the survey is organized by the following regions: Baltimore Area, Annapolis Area, Hagerstown Area, Washington DC, Virginia Beach Area, Charlottesville Area, Richmond Area and Roanoke Area. What is the total number of technicians employed (body, paint and mechanical)? 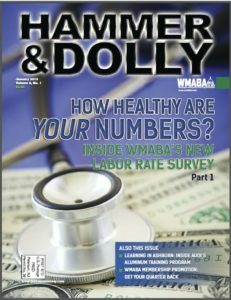 2013 WMABA Labor Rate Survey Results Document Download: 2013 Labor Rate Results as reported in Hammer & Dolly Magazine In an effort to provide its members with genuine market data on the Washington Metropolitan region, WMABA partnered with CSi Complete in late 2011 to strategize and implement an extensive Labor Rate Survey for 2012 and repeated this effort in 2013. The compelling data derived from the survey will be tallied and organized by the following regions: Baltimore Area, Annapolis Area, Hagerstown Area, Washington DC, Virginia Beach Area, Charlottesville Area, Richmond Area and Roanoke Area. 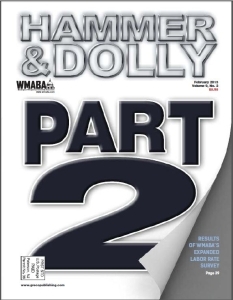 2012 WMABA Labor Rate Survey Results Document Download: 2012 Labor Rate Survey Results (.pdf) Document Download: 2012 Labor Rate Survey Results as Reported in Hammer & Dolly In an effort to provide its members with genuine market data on the Washington Metropolitan region, WMABA partnered with CSi Complete in late 2011 to strategize and implement an extensive Labor Rate Survey. The announcement of this first-ever undertaking led to an outpouring of excitement from the WMABA community, as shops throughout the region enthusiastically participated when asked to do so.